My team and I have been on a bit of a cactus kick ever since we started brainstorming Cinco de Mayo crafts. We first shared our impossibly adorable crepe paper cactus plants and our paper cactus garland perfect for summer parties and barbecues. 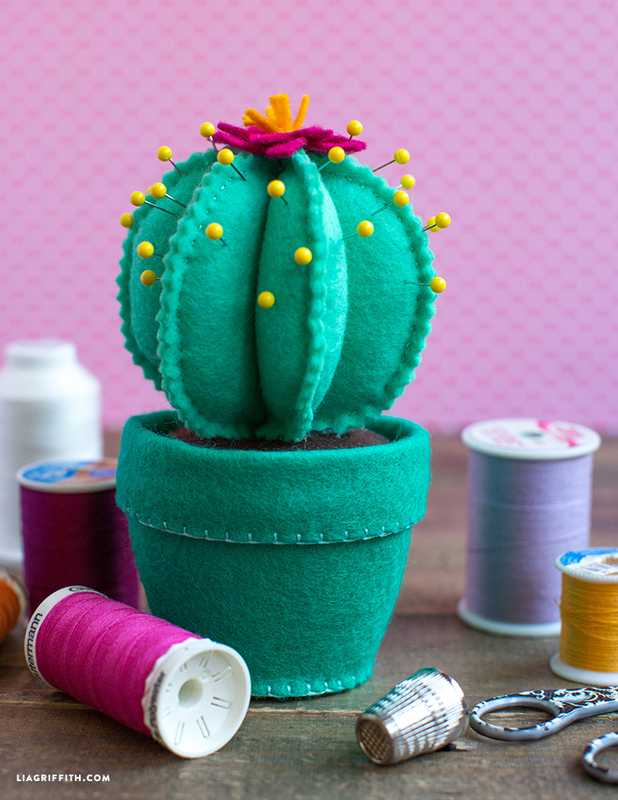 Now we’re continuing this theme with our felt cactus pincushion! There are so many reasons why I absolutely love this project. As you probably know, I love creating felt crafts. 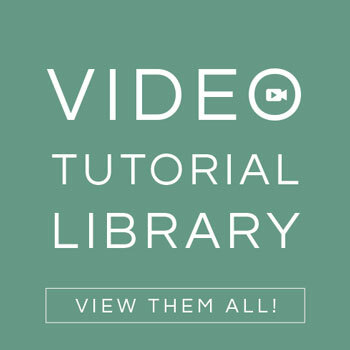 This project is also much easier than it looks, which is always a great quality for DIY projects! Best of all, this cactus pincushion project is multi-functional. Its main purpose is to be a pincushion for your sewing table, but it is also a fantastic piece of colorful home or office decor on its own. Love! To make our felt cactus pincushion, we used five colors of felt. 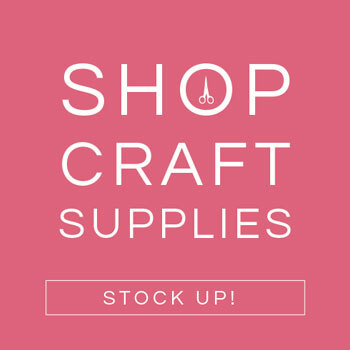 You can choose any colors that will match your specific decor scheme, but make sure that you pick up felt for the pot, soil, cactus, flower, and flower center. After you have your felt, download and print out the PDF template below. Cut out each piece of the template and use them as a guide for cutting your felt. 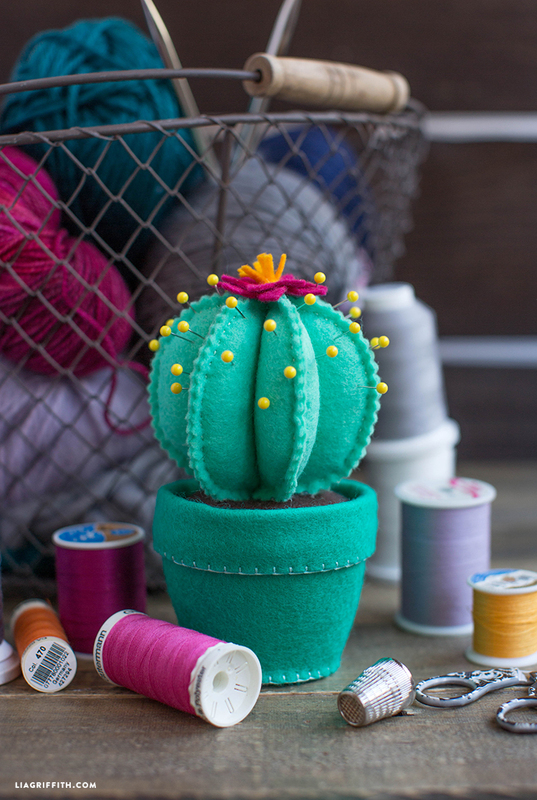 Follow the step-by-step photo tutorial below as you sew your cactus pincushion together. 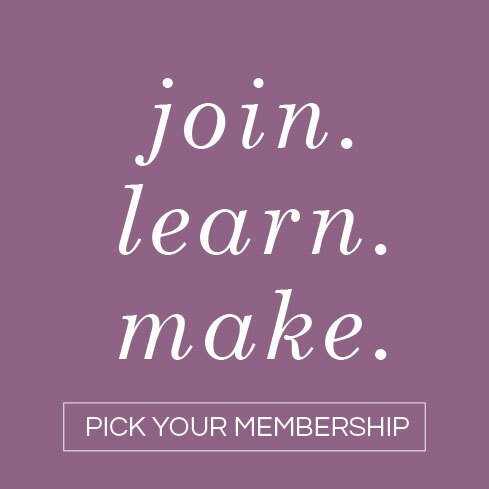 Members can also reference the downloadable instructions for a more detailed description! The trick is to stuff the cactus with as much poly-fill as possible to make the cactus firm. Cactus pincushions that we have seen in the past often have terra cotta pots, but we decided that we wanted to make our pot out of felt. Once we finished sewing the felt cactus together, we added sewing pins with yellow heads for a cute colorful accent! What kind of thread/yarn are you using? I’m awaiting delivery on my Scan and cut I think this will be my first felt project I do so lovely. This is adorable! I can’t wait to make these – they’d make a lovely desk companion for my coworkers and I! It is a great idea. I love it, unfortunately my cactus have died of moisture from my home, and now I have a chance to make them as beautiful as yours. I do not think I’ll use as pincushions, but I’ll put to decorate my shelves. Many thanks!!!! so cute! I must give this a try! 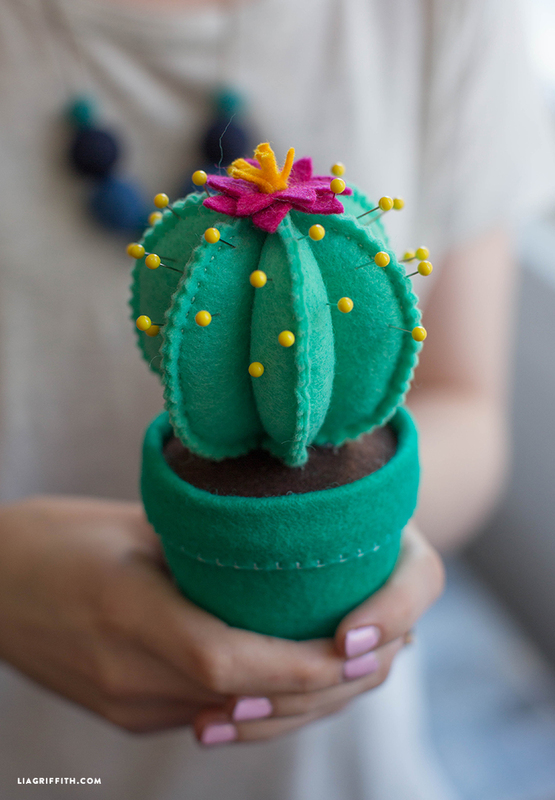 The cactus pincushion is the cutest idea I’m seen in a long time. It would make adorable party favors that people could use. I can see these as a cute thank you gift for a lunch date.